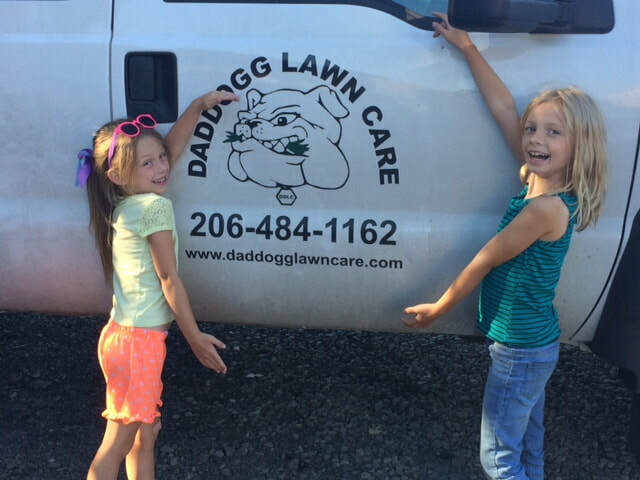 Daddogg Lawn Care, dba DDLC began in 2003 by Ted Bakke, who had a passion for owning his own business and mowing lawns. Ted left a lucrative career as a long time Account Executive to pursue his dream, and shortly thereafter recruited his two sons to become part of the “family business.” The company name was derived from the Bakke’s online video gamer team name “Daddogg” which was a combination of "Daddy-O" for Ted and “J-Dogg” for Jeremy - one of the sons. At the onset, with father and both sons involved, the name became an obvious choice, and the grassroots company was born - Daddogg Lawn Care. Through hard work and determination the business has experienced steady growth since those humble beginnings. Today, the same entrepreneurial spirit, quality, and close family ties prevail and are evident in the Daddogg Lawn Care crew and the longstanding customers we serve. "We aim to please", says Ted Bakke, Owner/Operator, "which results in repeat business. The smile on our customer's face describes our work." Meet some of the Daddogg Crew! Contact Daddogg Lawn Care today for an appointment for a FREE﻿ estimate!